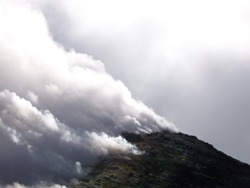 On arrival from the UK - flights are not included in the package price - we shall transfer directly to the foot of Mount Etna, where we shall make our preparations ready for our trek. Upon completing Etna we transfer to Milazzo. the following morning we a take ferry to Lipari and then a local boat onwards for an evening ascent of Stromboli with a late finish back at Lipari. the following morning we take a ferry to Vulcano and then onwards to Milazzo. On the morning of departure we will transfer you back to Catania. This is a challenge with a difference not only trekking Europe's tallest volcano but also one of its most Active which usually comes with its own Firework Display each evening! Meet in Catania (airport or city) late afternoon. Transfer up the long incline to Sapienza. Dinner, Briefing and kit preparations. Early start trek Mount Etna. Full Day to summit crater rim of Etna. Please note that the Summit Crater is a highly unpredictable location - and as such our plans are always subject to change. We will then transfer to Milazzo for a late dinner on this evening…. But well worth it - as the sights and sounds on top of Europe's Highest Volcano are highly memorable. Transfer to Lipari by ferry for a good hearty Sicilian lunch. Local boat in afternoon to climb Stromboli, the burning spitting fiery giant - a tough, and at times hot and dusty climb…. Culminating in a close up with the lava flows and potentially exciting explosions all whilst sat down with your picnic dinner on the summit ridge. We will then head back to Lipari. This will be a late night! 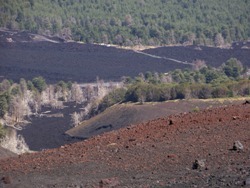 Ferry to Vulcano in the morning to climb up and encircle the whole crater - a stunning walk - but a relatively easy climb! We will then have seom time to relax on the beach after all your hard work, before then continuing on by ferry to Milazzo for evening celebrations. Transfer to Catania airport or centre. You will be staying in simple hotels and a well established Mountain Refuge. Generally Adventure Café provide a comfortable standard of accommodation on this trip. By nature all activities contain an element of risk.Your leader will be first aid qualified and will carry the appropriate safety kit for the activity, such as mountain safety shelters and radios. Helmets will also be provided whilst summiting Etna and Stromboli. The leader's primary role is to ensure your safety, but it is your responsibility to listen to their guidance and instructions. Expect Hot weather on Sicily, although it could be fairly cool near the summit of the mountains.